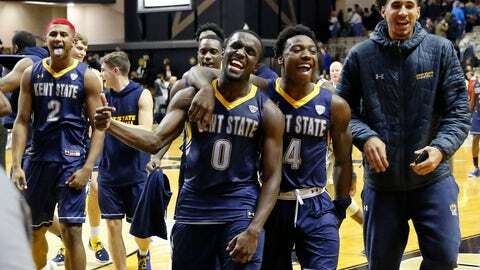 NASHVILLE, Tenn — (AP) — Vanderbilt star Darius Garland left early with an injury and Jaylin Walker scored 22 points as Kent State handed the Commodores their first loss with a 77-75 victory Friday at the Commodore Classic. The Commodores rallied in the second half, but couldn’t catch the Golden Flashes. Vanderbilt’s Saben Lee scored 13 points, but missed two crucial foul shots during the final minutes. Garland scored a career-high 33 points in Monday’s win over Liberty. He was a five-star prospect and McDonald’s All-American at nearby Brentwood Academy last season. Garland and Shittu formed the heart of Vanderbilt’s best recruiting class in school history.